Oy Vey Vegan is a journey into the wide world of plant-based foods. 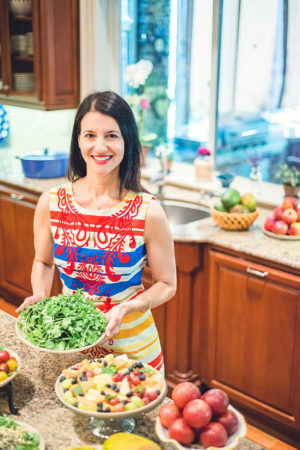 Estee Raviv has created recipes for vegan meals with a curiosity for new flavors combined with old ones—further perfected with a Mediterranean flair and enhanced by her Jewish Eastern European heritage. Estee has a fresh take on all the usual standards. Oy Vey Vegan contains a multitude of options for breakfasts, entrees, snacks, salads, veggie burgers, soups, side dishes, and delicious, but guilt-free, desserts—all taste-tested by her kids. Not only is Jewish vegan cooking possible, but it’s simple. Estee provides recipes for essential Jewish comfort foods such as Tshulent, Challah, and Matzo ball soup. This cookbook is perfect for both beginner vegans and expert chefs looking to expand their vegan menu. Oy Vey can be translated to “Oh no!” Too many people shy away from vegan foods because they think of them as bland or difficult to make. Estee’s passion for plant-based nutrition changes minds. The book was written to address the need for people who want to make a positive change in their life and diet and do not know how. 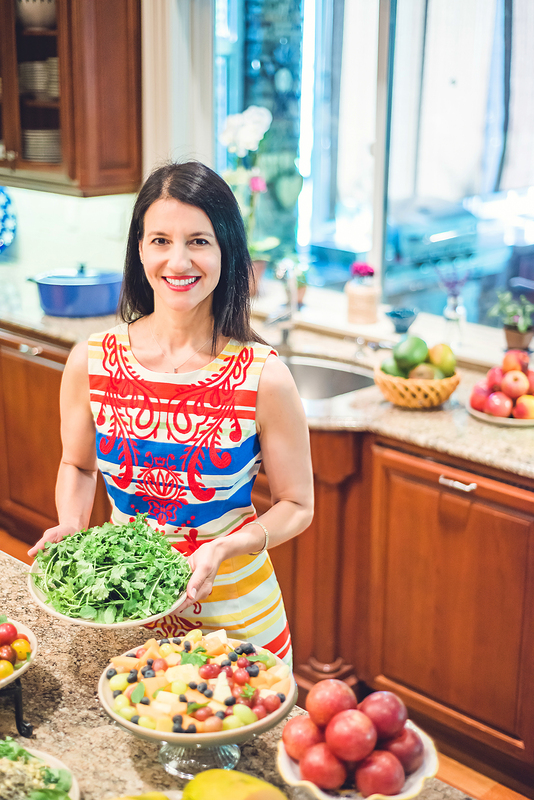 Preventative medicine through whole foods is the future and Estee Raviv will show you the way. Little snippets of Estee’s childhood and travel adventures accompany tips and tricks in this invaluable guide for a flourishing vegan lifestyle. Most recipes are gluten free (GF) or can be easily transformed into GF. Oy Vey Vegan illustrates the art of health and wellness with beautiful, mouth-watering photographs, taken by Estee herself. Each recipe is written in a clear and easy to follow manner so anyone can cook. 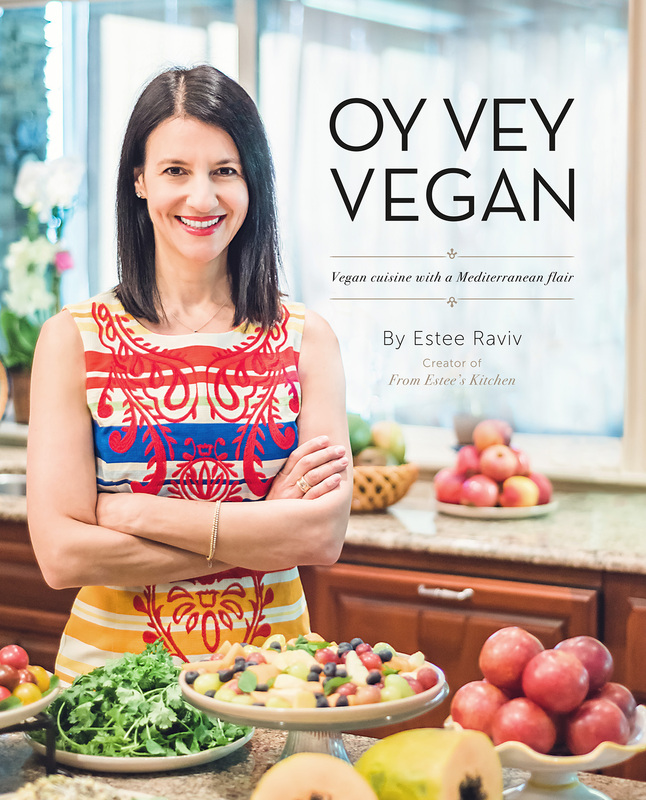 Estee Raviv is the author of Oy Vey Vegan: Vegan Cuisine with a Mediterranean Flair. Her love of cooking and healthy food has been inspired by a life filled with art, travel and a world of cultures and experiences, all shared with family and friends. Estee was born in Israel, and grew up on the sandy shores of the Mediterranean Sea. Family meals were influenced by flavors of the Middle East, along with her Jewish heritage and the Eastern European traditions of her Romanian mother—an incredible cook and hostess—and Polish father. Cooking has always been her passion and relaxation, providing a creative outlet—with delicious returns! Whether creating meals for guests from all over the world, teaching culinary classes, or doing cooking segments on TV, she has found ways to spread the love for healthy, original cooking with delicious vegan recipes that anyone can enjoy. She lives with her husband and three children in Portland, Oregon.